A news item earlier this year announced that a mosque in Thessaloniki, had been opened for Muslim worshippers. Not such a big deal, you might think, if you are resident in another major European city where mosques are a not uncommon feature of post-modern multi-culturalism. The situation in Greece, however, is an altogether different story, for a number of reasons. First, until the early 20thcentury there were over twenty mosques in that city, known in those days as Selanik, and a major city of the Ottoman Empire. Now there is one, and that opened in April this year. Second, Athens is the only European capital city that does not have a functioning mosque. Third, the newly re-opened mosque in Thessaloniki is actually 111 years old but served in its intended capacity for only twenty-one of those years. It was closed, along with all the other mosques in the city, in 1923, after the unsuccessful Greek invasion of Anatolia necessitated a population exchange according to religious affiliation. Fourth, the Yeni, or New Mosque, as it is called, designed by an Italian architect, is notable for its interior and exterior design. One writer describes it as: ‘A hybrid of European and Islamic styles, fusing Baroque, neoclassical, and Byzantine, it also contains Jewish features.’ The reason for this last peculiarity is that Thessaloniki/Selanik, was, in Ottoman times, one of Europe’s main centres of Jewish religion and culture. Some of those Jews, however, as a result of events I have described elsewhere, converted, at least overtly, to Islam – while continuing, according to some, to retain the practices of their original faith behind closed doors. Greece and its next-door neighbour Turkey have a strange relationship, whose intricacies can only be understood by a study of their shared history. Visitors from one country to the other find great similarities in the cuisine – and citizens of both nations argue heatedly about who actually invented Turkish/Greek coffee, the delicious sweet pastry baklava, or the stuffed vine-leaves known as dolma/dolmas. It has been said jokingly of Britain and the United States that they are two countries divided by a common language. It might be said of Greeks and Turks that they are one people divided by two religions. 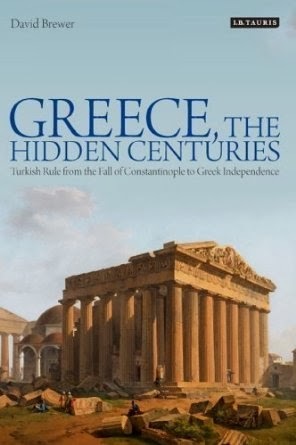 Some months ago I referred to a book I had been reading, ‘Greece, the Hidden Centuries’, and I undertook to write about it in more detail. In the mean time, my attention was captured by political events in Turkey and Egypt, and my promise remained unfulfilled. 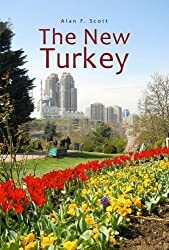 The situation in Turkey, at least, appears to have settled down somewhat, and what’s happening in Egypt is there for all to see – so the time has come to tell you about that very interesting book. With all due respect to that Greek reviewer and his grandmother, you’d have to think that an Oxford Classics graduate would have some sympathy for the Greek cause. That he took the trouble to write a history of the Greek War of Independence (fought to break free from the Ottoman Empire) would suggest a continuation of that sympathy into modern times, and perhaps some detailed knowledge of the subject. In his introductory notes to the book under discussion, Brewer informs the reader that, out of respect for the Greeks who prefer to hold that they were ruled by Turks rather than Ottomans, and have never accepted the loss of their Byzantine Empire, he will speak of Turks and Constantinople (rather than Istanbul). This in itself should convince an objective reader that the author has gone to some lengths to avoid upsetting Greeks – even at the risk of offending Turks. Brewer sets out the rationale for the book in his prologue, subtitled ‘The Greek View of Turkish Rule’, which he begins with an anecdote about the arrival of an Ottoman official in a Greek village in 1705. The purpose of his visit was to recruit fifty youths who would be taken to Istanbul to be trained for service in the Sultan’s court or the elite military unit known as Janissaries. There could be no refusal of course, but the villagers not only refused – they killed the official then formed a band of outlaws whose principal occupation was robbing and murdering Turks. Needless to say, the Ottoman authorities took a dim view. Retribution was forceful and brutal. The anecdote illustrates the approved Greek view of Ottoman rule. Greeks were virtual slaves, the flower of their male offspring were torn from their families by force, and any attempts to assert their human rights met with vicious suppression. This state of affairs continued from the fall of Constantinople in 1453 to the foundation of the modern kingdom of Greece in 1833. During that black period of almost 400 years, referred to as Tourkokratia, Greeks were under constant pressure to change their religion, were not allowed to build churches, had to educate their children in secret to keep their language alive, and were heavily taxed. It was a dark age where Greeks were cut off from the processes of modernisation going on in the rest of Europe, and the Turks left nothing of value to show for their four centuries of rule. Challenging this received version of history is not a task undertaken lightly. In his final chapter, ‘Some Conclusions’, Brewer gives an account of an attempt by the Greek government in 2006 to introduce a new school history textbook for twelve-year-olds. He quotes the Minister of Education, Marietta Yannakou, as saying, ‘I believe in truth, in what really happened in history. We must not tell children fairy tales at school.’ In the face of fierce opposition from the Church, some academics and the leader of the far-right political party, the textbook was withdrawn for some judicious revision. In spite of that, Ms Yannakou lost her parliamentary seat in the 2007 election, and the book disappeared from the education agenda. Between his prologue and his concluding remarks, Brewer covers all the pertinent issues in a detailed but readable fashion. What was the status of Greeks before the Ottomans arrived? What actually happened when the Ottomans conquered Constantinople? Would Greeks have been free and happy if not for the Ottomans? Were all Greeks of one mind on the question of freedom and independence? Did they get what they wanted in the end? Brewer limits his discussion largely to the Greek mainland and the islands in the eastern Mediterranean and Aegean Seas generally considered to be their territory. In fact, however, as he says in his prologue, the Greek dream, formulated shortly after gaining independence from the Ottomans, was the recreation of former Byzantine glory, a Great Idea (Megali Idea) envisaging an empire centred, not on Athens, but on Constantinople. The likelihood of this, however, had disappeared long before the Ottoman Sultan Mehmet II led his victorious troops into that city. The once great Roman Empire had lost its western half when the city of Rome fell in 476 CE. The increasingly Greek eastern Romans had two peaks of imperial greatness in the 6th and 10thcenturies – but found themselves constantly under threat from Arab and other Islamic expansion from the south and east, and later from their Crusading western Christian brethren. The latter, despite their stated purpose of evicting the Muslim infidels from the ‘Holy Lands’, set up kingdoms and principalities in former Byzantine territories, even besieging, sacking and occupying for 57 years, the imperial capital in the early 13thcentury. In fact, long before 1453, Greeks were predominantly a subject people – and even after that year, their overlords were not Turks alone, but Europeans, especially Genoese and Venetians, masters of the Mediterranean until the rise of Ottoman power largely supplanted them. So, it was not from the Greeks themselves but from the Venetians that the Ottomans seized mainland Greece, Chios and other Aegean islands in the early 16thcentury, and Cyprus in 1570. Venetians had ruled the island of Crete for 400 years before finally surrendering it to the Ottomans in 1669, and for twenty years after that, were still trying to reconquer the Greek mainland. Brewer suggests it is at least open to debate whether Greeks were better off under Venetian or Ottoman rule, given that the Italians were Catholics whose Church had no great love for their schismatic eastern cousins. Contrary to the commonly painted portrait of the Turks as brutal suppressors of subject peoples, Muslims viewed Christians and Jews as ‘people of the book’. Orthodox Christians, Jews and Armenian Christians ‘each formed a partly self-governing community, a millet. Each had a spiritual head who was also to some extent the political leader: for the Jews it was the Chief Rabbi, for the Armenians the Gregorian Patriarch, and for the Orthodox, the Orthodox Patriarch’. According to Brewer, 100 years after the conquest of Constantinople there were 77 churches on either side of the Golden Horn. 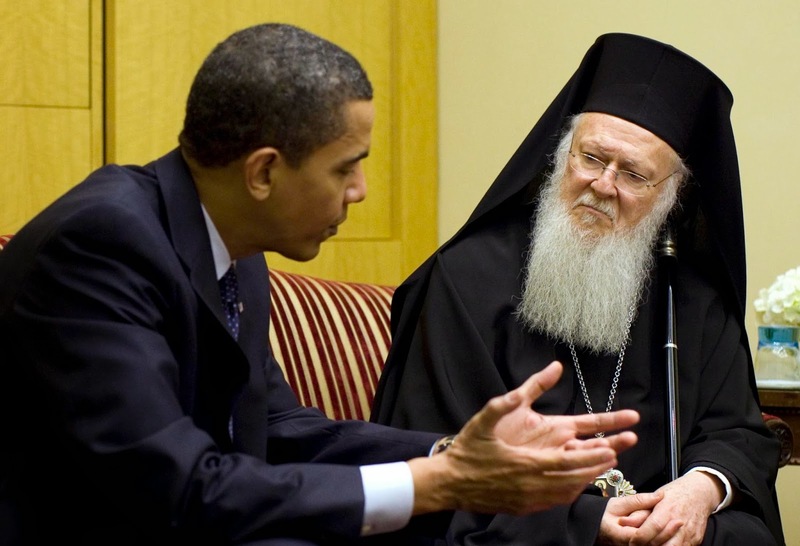 Even today, the Greek Orthodox and Armenian Patriarchs continue to minister to their flocks from headquarters in Turkish Istanbul. My research indicates that there are sixteen synagogues in modern Istanbul and somewhere between forty and 123 churches. I can’t account for the discrepancy, but even the radical Armenian website Armenian Weekly admits that there are 28 active Armenian churches. According to Wikipedia, at the beginning of the 20th century (70 years after mainland Greece became independent) there were 1.8 million Greeks living in the Ottoman Empire. Even after the enforced population exchange of 1923, 200,000 of those ‘were permitted to remain’ – all of which suggests that life under Ottoman rule must have had some compensations. Returning to Brewer’s book, the author makes the interesting suggestion in his prologue that ‘Greek bitterness about past rulers largely depends upon what happened after that rule ended, and has rather less to do with the nature of the rule itself.’ Genoa and Venice, even Italy itself, no longer wield much power in world affairs, so there is little to be gained from venting spleen on them. Russia proved an unreliable ally over the centuries of Ottoman rule – but in the end, with Britain and France, helped to win the naval battlethat secured Greek independence. Besides, they are fellow Orthodox Christians (at least in history and traditional culture), so it’s harder to hate them. It might have been a different story, however, if they had been allowed to fulfil their ambitions of capturing Constantinople/Istanbul and controlling the Bosporus Straits. The Turks, however, for better or worse, continue to occupy that city of cities, and show no signs of relinquishing their hold. It was Turkish nationalists who turned back the Greek invasion of Asia Minor, on which they had embarked with the encouragement of their European allies, especially Great Britain. When their erstwhile friends left them in the lurch, there was little to be gained by aiming recriminations in that direction. It was Turks who drove the Greek army into the sea in the victory that ensured Ottoman Orthodox Christians would have to be uprooted from their ancestral homeland, to be exchanged for Muslims expelled from the Greek mainland, in what Greeks came to know as the Asia Minor Catastrophe. For Turks, on the other hand, it is the War of Liberation..
It’s a step in the right direction that the Greek government is reopening a mosque in Thessaloniki – though we might wonder why they chose that one, with its dubious Islamic provenance, rather than the 15th century Hamza Bey Camii, which suffered the indignity of being used as a cinema before being abandoned to decay. As for Athens, plans for a mosque there seem to have stalled for a variety of reasons. Again, rather than reopening one of the historic mosques in that city, despite Turkish government offers to finance the project, the Greek government planned to erect a new building from scratch, according to a Reuters report, ‘in a disused naval base littered with weeds and rubble in a rundown neighborhood.’ Even that humble proposal, however, seems to have foundered on the rocks of opposition from the ultra-right Golden Dawn Party. Greek construction companies are showing a reluctance to tender for the job, allegedly from ‘fears of intimidation’. Brewer’s achievement in this book is to draw attention to a major act of historiographical distortion. Of course all countries prefer to view their own history in terms flattering to themselves, or evoking sympathy for their plight. In this case, however, the Greek ‘fairy tale’ has found wide acceptance beyond their own shores. It is not merely 400 years of history that have been hidden. From the final conquest of the Greek city states by the army of Rome in 146 BCE to the foundation of the independent kingdom in 1832, there was no Greek political entity as such. The Byzantine greeks are a Western construct. That empire considered itself Roman, and its church, Roman Orthodox (Rum Ortodoks in Turkish). It has suited Western powers, for various political and quasi-religious reasons, and for a thousand years or more, to pretend otherwise. Thanks to David Brewer for lifting the veil. I found his argument to be well researched and convincing. While detailed notes and an extensive bibliography lend scholarly credibility, the author’s style is lively and accessible to the non-academic reader. I think he has got this business pretty right, and I emphatically recommend this book. This date, 1453, is sometimes taken by historians as marking the end of the Middle Ages – it is arguably of more international significance than the year (1483) when Henry Tudor defeated the Yorkist usurper, Richard III, in a relatively minor island state on the western outskirts of Europe, as my school textbook suggested. Not that it’s a year much celebrated outside of Turkey. This year, 29 May marked the 556th anniversary of the Ottoman conquest of Constantinople – so you’d have to think that the likelihood of the Turks packing their bags and heading back to Central Asia where they came from is decreasing with the passing years. Nevertheless, they still seem to have some difficulty in getting themselves accepted as bona fide members of the Europe Club. The most obvious problem is that the Turks are overwhelmingly Muslim, and the mental baggage we Westerners inherited from our Crusader ancestors, inclines most of us to view Muslims with suspicion at the very least. But it’s not just that. There’s a serious dichotomy in the prevailing Western view of the part of the world currently called the Republic of Turkey, which goes back beyond the arrival of marauding hordes from the steppes of Asia. Constantinople, and the Byzantine Empire of which it was the capital city, was ‘Christian’, and therefore the fall of the city was a terrible blow struck against Christendom by the forces of Islam. John Julius Norwich, in his History of Byzantium, postulates that, had it not been for the persistence of the Eastern Roman Empire for a thousand years after the fall of Rome, the whole of Europe could well have been overrun, and we would see nothing strange about trotting off to the local mosque five times a day at the call of the muezzin. On the other hand, the Byzantine Empire (and hence Constantinople), was not ‘real’ Christian, i.e. they were heretics and schismatics who did not belong to the ‘true’ church (viz. the church of Rome). For this reason, medieval western Christendom would not send aid to their fellow Christians against the threat of militant Islam (knew the cause was hopeless is also possible, but debatable). When Constantine moved the capital of the Roman Empire to Constantinople in 330 CE, the city was, by definition, the centre of an empire which was unquestionably European. However, as the city of Rome lost its imperial power and became dependent for its prestige on the rise of Christianity and the Bishops of Rome (read ‘Popes’, if you prefer), it became necessary to emphasise the ‘otherness’ of Constantinople, which retained its temporal power (along with powerful religious influence) for centuries after the fall of the Western Roman Empire. This concept of ‘otherness’ was later solidified in Western thinking by the adoption of the term ‘Byzantine’ to describe the Roman Empire in the east which survived after the fall of the western Roman Empire to the barbarians in the 5th century. In fact, the word ‘Byzantine, was not used by those people to describe themselves, and according to the Merriam-Webster Dictionary, was first used by European historians in the mid-17th century. 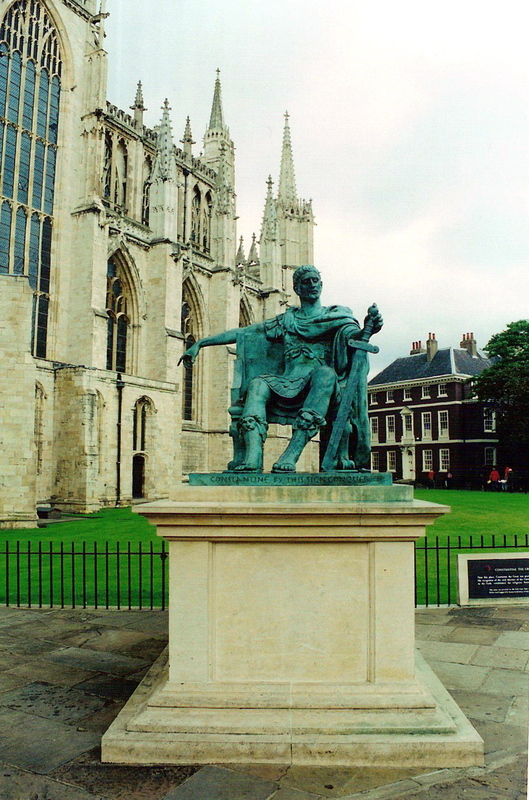 We may account for the adoption of this term by hypothesising that classical scholars in succeeding centuries were enamoured of the (pagan) Roman Empire which they saw as epitomising all the virtues to which they aspired as sons of a new world empire. Naturally they were reluctant to accept that the direct heirs of this great classical empire were the decadent, heretical, pseudo-Christians of the eastern Mediterranean. During the Middle Ages, crusades were sent from Western Europe to free the so-called Holy Land from the yoke of the Islamic Turks, despite the fact that there was a Christian power on the doorstep of those holy places. One can easily imagine that the whole Crusade business was a ploy by the Bishops of Rome to unite western Christendom against a common enemy in an attempt to regain the temporal power that had been lost with the fall of Rome to the barbarians (which power, we may assume, they greatly envied their eastern brothers). The fact that these western ‘Crusaders’ did not consider the Eastern Christians co-religionists is emphasised by the sack of Constantinople by forces of the 4th Crusade in 1204. Returning to an earlier point (Constantinople as a disaster for Christendom as a whole), western sources of dubious historical veracity have subsequently tried to assert kinship with the brave defenders of the city by a) reminding us that there were Genoese and Venetians (the right kind of Christians) among the defenders and b) asserting that the desperate defenders held ecumenical services of communion in the cathedral of St Sophia as the axe began to fall. We gather that the errant Easterners were beginning to see the light, though sadly for them, it was too little, too late. Linking to an issue which I intend to discuss in a later article, in the 19th century, European interests, especially Great Britain, were encouraging the Greek-speaking peoples of the Aegean to form a nationalist consciousness and rebel against the Ottoman Empire. The emergence of the modern nation-state of Greece in 1832 was made possible only with major support from the British and French fleets of the day. This encouragement culminated in an invasion of Western Anatolia by a mainland Greek military force under the aegis of the victorious Allies at the end of the 1st World War. The ‘megali idea’, on which this invasion was based, was the concept of the recreation of a semi-mythical Greek empire centred on the Aegean. Of course, for the Greeks, this dream could never be fulfilled without the inclusion of the former imperial and religious capital of Constantinopolis – something which, one suspects, the Allies had no intention of allowing. The city straddling the Bosphorus Straits, and bridging the continents of Europe and Asia, had too much geo-political significance to be given over to what could only ever be a minor player in world politics. It is fairly clear that the ‘megali idea’, and the encouragement of Greek nationalism by the western powers, was primarily aimed at dismantling and disempowering the Ottoman Empire, and creating a puppet state in the strategic zone of the eastern Mediterranean. It’s a complex history, made more complex after the conquest of Constantinople by the Muslim Ottomans in 1453 and the city’s status as capital of their Islamic empire for nearly 500 years. The Western point-of-view seems always to have struggled to come to grips with reality in this part of the world. Witness the invention of the word ‘Byzantine’ to name the Eastern Roman Empire that survived for 1000 years after the fall of Rome. The refusal of history to conform to Western plans was further confirmed when, against all expectations, a blond, blue-eyed genius from Salonika led the Turkish rump of the Ottoman Empire to military and political success in the establishment of the modern Republic of Turkey. After 556 years, 29 May is still a big one for Turks – and a thorn in the side of visiting football teams from Athens.